Samsung did a pretty cool thing when they launched the Galaxy S7 and S7 Edge in virtual reality by livestreaming their event in 360 degrees. OnePlus is looking to one up the Korean giant through the release of their new Loop VR headset. But OnePlus won’t stream their event on these headsets like Samsung did, the company will allow owners of the headset to purchase the OnePlus 3 ahead of everyone else. 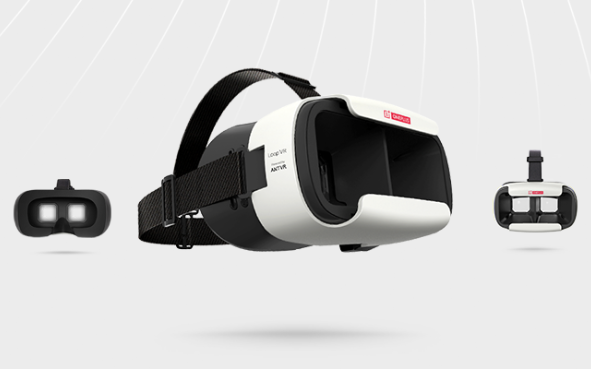 OnePlus teamed up with Ant VR to create this headset which they hope will offer “the world’s first global shopping experience in VR”. Pairing the headset with any smartphone will let you explore the “Loop”, a space-station like virtual world in which you can purchase the OnePlus 3. The headset, which looks a lot like the Gear VR or any other generic VR headset, is 366 grams, has a field of view of 100 degrees and should accommodate most 5-6 inch smartphones. To ensure the success of this new idea, the company gave away 30,000 free Loop VR headsets for free to customers around the world who were quick enough to pounce on OnePlus’s offer. There is no word on how much the device will cost once it is released for everyone to purchase but given the company’s track record, it should be priced competitively.